INVO PEO has made team building and community outreach a priority, and we are very excited to announce our newest initiative! Starting Monday, we will be partnering with The Boys and Girls Club in an effort to provide school supplies to children in need. INVO PEO is hosting a Career Fair on Saturday, July 16 at our Clinton office from 10 a.m. to 2 p.m. If you know any motivated individuals who may be interested in attending, please pass along this message. You can also direct them to the Careers section of our website: http://invopeo.com/careers. 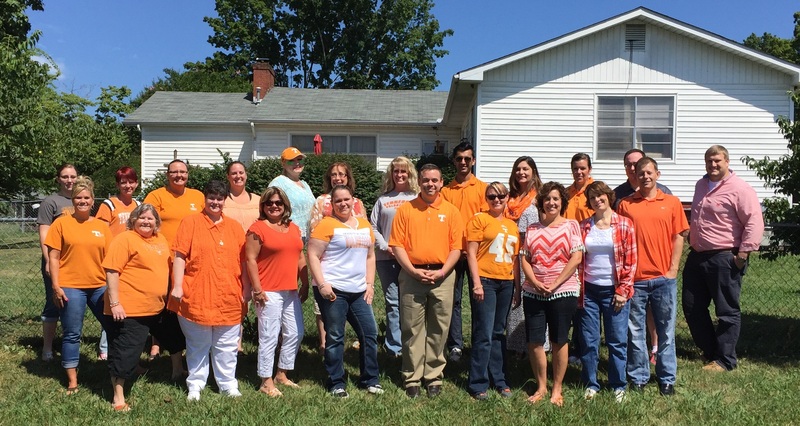 Our Employee at INVO PEO wore Orange in the Honor of Pat Summitt, hailing her greatness as the longtime women’s basketball coach at Tennessee. During her 38 year tenure with UT, she led the Lady Vols to 31 consecutive appearances in the NCAA Tournament, won eight national titles and 1,098 games. About 20 Appalachian Underwriters Inc., employees will join a Habitat for Humanity blitz build in Knoxville on Saturday, April 11. The blitz build, where volunteers stand exterior walls, build interior walls, and set the roof trusses, decking and felt, will take place at 300 Beaman Street in Knoxville. AUI employees will be among the more than 500 volunteers working on the build. As of April 1, 2015, new rates went into effect under the National Flood Insurance Program. This increase mainly impacts those in high-risk areas with rates up as much as 25%. All insured will see new surcharges of $25 for primary homes and $250 for second homes. According to the federal flood insurance program, the average premium is $650 a year. For most of the low-risk areas of East Tennessee, this premium is significantly lower. This increase in rates to the federal program is in response to several major disasters in the past decade. Congress passed two acts in the past couple of years to make adjustments to this program. The first initiated the rate increases. The second eased the burden of the increase on low- to middle-income families. If you are unsure of your flood insurance coverage, it is always a good idea to review your homeowners policy each year at renewal to make necessary adjustments. To learn more about Appalachian Underwriters Inc., visit www.appund.com. Staff at the City of Oak Ridge Animal Shelter say the corporate adoption event held at Appalachian Underwriters on Tuesday, March 31, was their most successful ever. 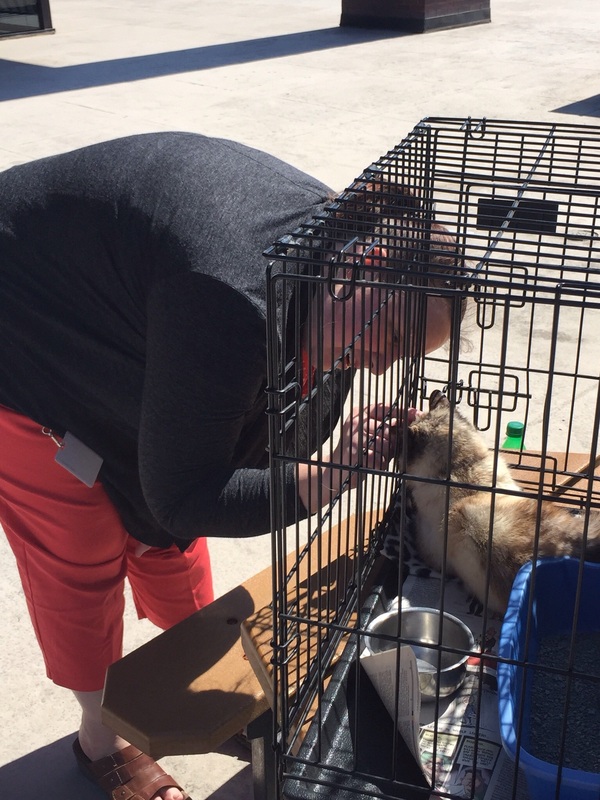 Shelter staff brought animals in need of adoption to the Appalachian Underwriters courtyard picnic area for two hours on Monday. Employees had the opportunity to adopt a pet for a reduced fee of $55 (regular $110), which includes spay/neuter, microchip, booster vaccines, rabies vaccine, a dose of Frontline flea and tick repellant, a dose of dewormer and a nail trim. In addition to the adoptions, five other animals at the shelter were sponsored for others to adopt. Food, litter and other items needed by the shelter were donated as well. The Appalachian region is bracing for winter storm Octavia, which is bringing with it a wintry mix of freezing rain, sleet and snow. Many homeowners may feel powerless against the wrath of Mother Nature, but Bill Arowood, president of Appalachian Underwriters, Inc., says there are things homeowners can do after the storm passes to protect their homes from damage. “First, everyone needs to know that standard homeowners or business insurance policies cover a wide range of winter-related disasters such as burst pipes, ice dams, wind damage, leaky roofs, and building collapse caused by the weight of ice or snow,” Arowood said. He adds that coverage for backup of sewers and drains also is available. Flood damage is excluded from most standard policies. Keep your home warm. The temperature in the home should be at least 65 degrees to prevent pipes from freezing. Watch for snow accumulation on the leeward (downwind) side of a higher-level roof, where blowing snow will collect. For safe removal that won’t damage your roof, consult a roofing contractor for a referral. Snow or rain that freezes in gutters can cause an “ice dam,” damaging ceilings as melting ice spreads under roof shingles. Keep gutters clean of leaves and debris to prevent this condition. As snow melts, water can back-up sewers and drains resulting in flooding. Local government officials should be notified if street drains are clogged. Stock up on fuel in case of a power outage, such as firewood or propane if you have a back up heat source. For more information about Appalachian Underwriters, Inc., please visit www.appund.com. INVO PEO partners with a retail insurance agency, Madison Insurance Group (MIG), to provide our clients with all their business needs. MIG can also provide personal lines of insurance for the business owners and its employees. “Under the umbrella of our INVO PEO flagship, MIG is our retail operation that offers policies ranging from Personal Auto to Professional Liability,” said Bill Arowood, president of INVO PEO. MIG operates nationally, but acts locally by offering personalized services designed specifically for the individual client. Some of our industry specific programs offered through MIG include Staffing, Trucking, and General Contractors. The team at Appalachian Underwriters, Inc. (AUI) is hard at work collecting items for East Tennessee Children’s Hospital this month. AUI chose the hospital as their Valentine and is holding donation drive through Friday, February 27. 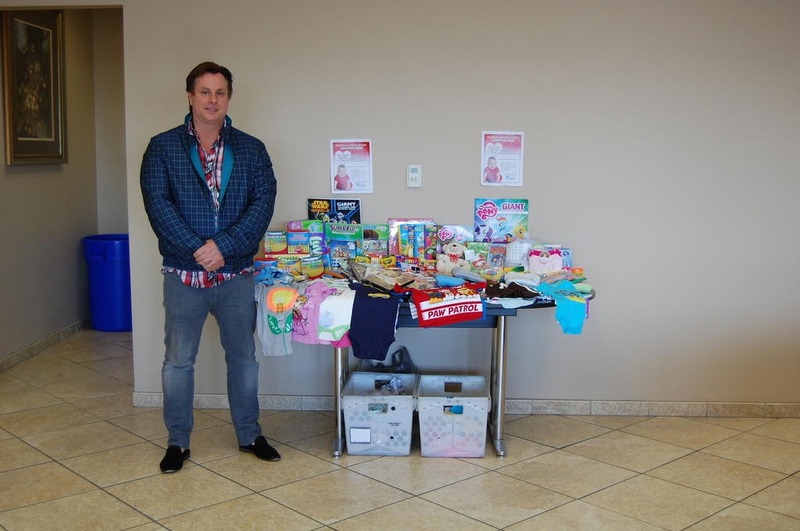 Items being collected include: Short- and long-sleeved onesies for ages 0-3 months and 3-6 months; new or used clean clothing from birth to 3T, especially sweatpants, shorts and T-shirts; coloring books and crayons; and DVDs rates PG or PG-13 for teens and older children. To learn more about Appalachian Underwriters, Inc., visit www.appund.com.